In addition to my promise, we as ONS Gaming stated we were bringing back some of the initial segments and so, here’s one of the ones I started back under the early days. When we were originally DPG, this segment had only one entrance, and since we’ve expanded and have changed I felt it was time it got more pieces. 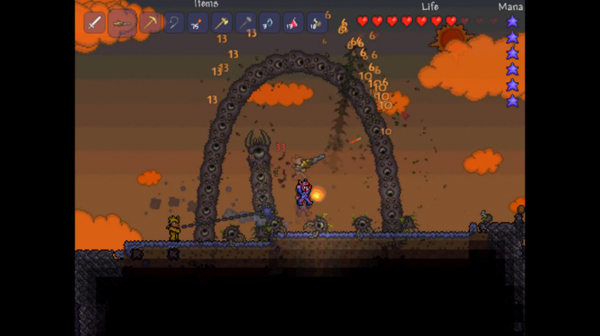 Terraria is a procedurally generated 2d 16-bit SNES graphics styled game where each world is unique in more ways than the obvious. For starters the world has two options, one being “corruption” and the other being “crimson”, this dictates areas of the world and ultimately the “thing” that players will have to battle against to keep their world from being over taken. When the world is initially spawned the game chooses one or the other and they have exclusive items and monsters, this also means that one has to spawn both in order to do everything in the game, meaning potential replay value. Many players may make three worlds, since materials can be brought from one to another and take materials only from the two worlds to build on the third world. Others will stick to two, and pick one world to be their main and many other players will just stick to one as one world gives a lot of things to a player in of it self. This game is great for exploring, building, and facing the several bosses that can or have to be faced in this game. Un-like Minecraft this game isn’t just about exploring, gathering resources and building, and while those factors are huge in the game they aren’t the end all be all to the game. 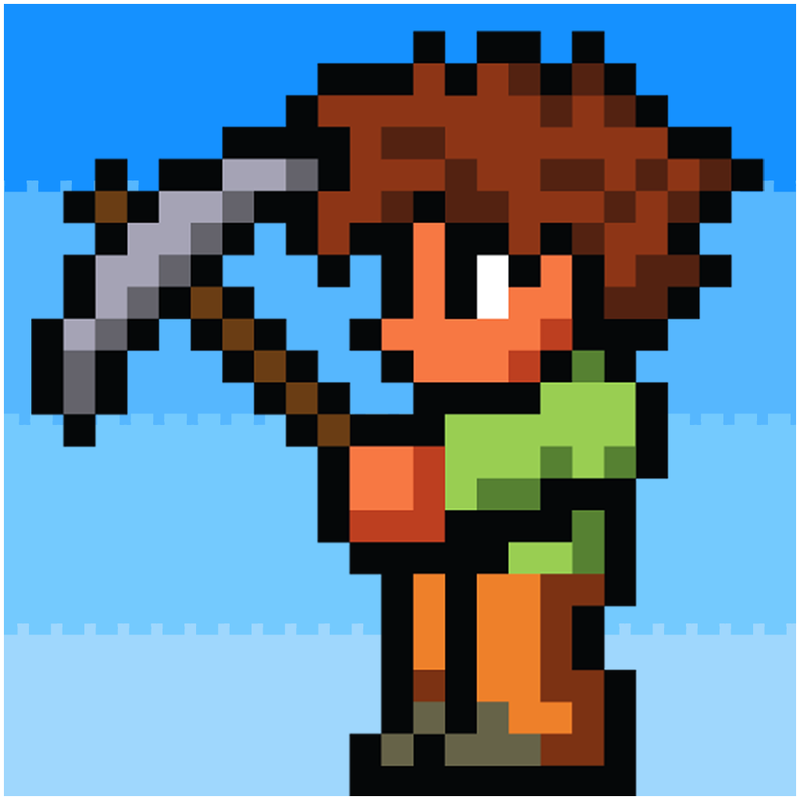 Your purpose is to gather resources and items, and build not only a town for NPC’s to take refuge in but also to equip yourself with the best items you can find or make in order to destroy the evil boss mobs in the world. Some of the bosses are required to be defeated to unlock major content, or to unlock another boss or NPC’s themselves. There are currently Twenty two different NPC’s of which most will reside in your town a few others will only visit for a day or a time frame. Your quest while not stated by the game is to do all of that, and you can do it in the simplest way possible or take your time to build a marveling town that’s decorated out. In this game specially after the 1.2 update there are many items that are decoration only. One of the decoration only ‘grouping’ of items are for your place/town such as chandeliers or paintings. The other group of decoration items are vanity items for your character, while some of them also have stats for armor they most often are too weak to be used seriously but work as something to put over top your armor. When you explore your world you can find many biomes, caves and other things that make such an exploration exciting. Nothing is cooler than coming upon a underground cabin with decoration items and a chest with cool gear and items. Equally as cool is the variants of this “underground cabin” there are normal caverns that are trap filled protecting a chest or heart crystal (they when broken give you a life crystal allowing you to expand your max health), there’s Living trees, giant trees that block your path unlike normal trees which do not and on occasion they will have a hollow center that leads to a treasure room. When it comes to making new things this game is also easier than the PC version of Minecraft, as long as you have the item(s) in your backpack and you’re within range of the certain required crafting station you can make the item, there’s no need in guessing how to make the item on a grid. That being said one of the issues with this game is that it doesn’t tell you this upfront, and while the guide does spawn with you, he is only helpful in a limited amount. In my first world with me playing for the first time I had to click through 30 tips from the guide to find the one I needed for that exact moment. Another thing the guides all seem to be derps often times getting themselves killed and on occasion getting you killed… do you really want to take advice from a guy who opens the door to let the undead in at night? Probably not. Fortunately most players can figure out the basics of the game with in minutes and be able to find enjoyment enough to carry on. The only other gripe I have with the game comes again from a lack of information, while NPC’s give you hints some of them aren’t always helpful enough in a direct stand point. Instead of saying “Quick go get item x, using them will summon beast a”, they will hint at that items importance “Maybe using item x might wake something…?” A nuisance yes but not enough for anyone to be too deterred from playing the game. That being said there are actually a lot of easter eggs in regards to items and the NPC’s themselves and while the PC version doesn’t have pop up achievements there are ways to showcase your adventures, by building large castles and mansions and also through in game items such as decorative banners, and statues. 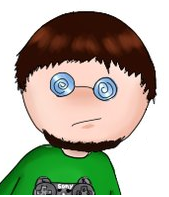 The music in the game was composed by Scott Lloyd Shelley through his Resonance Array studio and brought a unique feel to Terraria often times the music is simple and harmonious and other times its filled with menace, it helps put the players where they need to be; should he/she be jolly or afraid? The music by Shelley allows the player to connect in the emotional sense to what’s going on in the world, or sets them up to be. Not much more can be said about the game without ruining things and I rather you all check it out for yourselves. 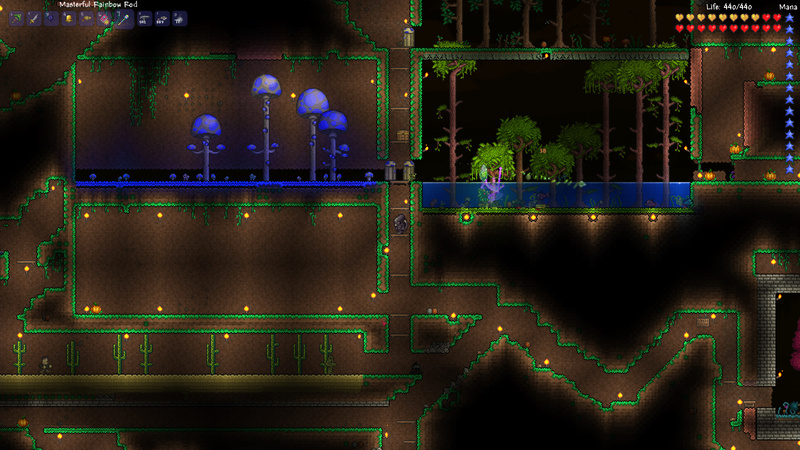 Terraria is available for PC through Steam, Consoles and mobile devices. This game get’s a Get it score. 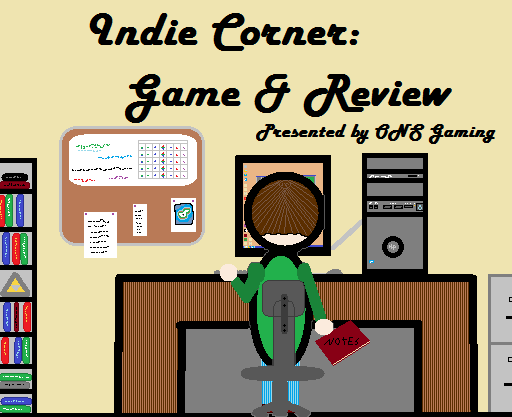 This game was created initially by a curious group of developers, some of which continue on as Re-Logic and others who have left to make their own games very similar to Terraria (such as Starbound). Initially when the game was done and was officially released the team had made statements that development of the game further would not be worked on. 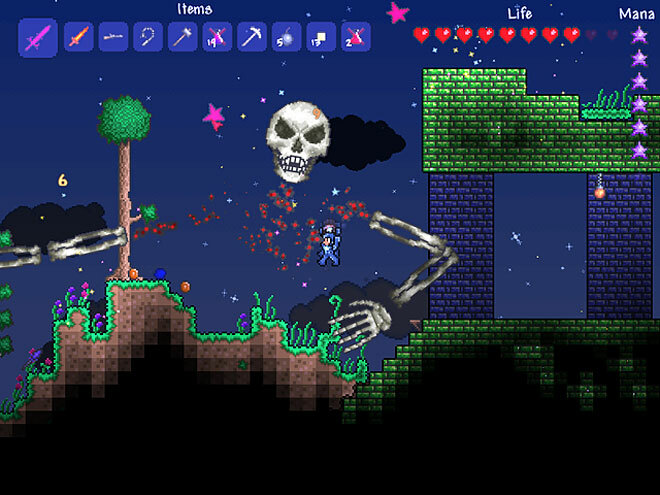 Though many Terraria players know that the statement would ultimately not be true as the Team would reopen development of the game and bring out update 1.2 which added a lot of items and objects to the world making the game that much more fun. In addition to 1.2 update, Spinks stated that several updates would occur but that work on a sequel was under way. I have as of this post played this game for: 200+ hours.